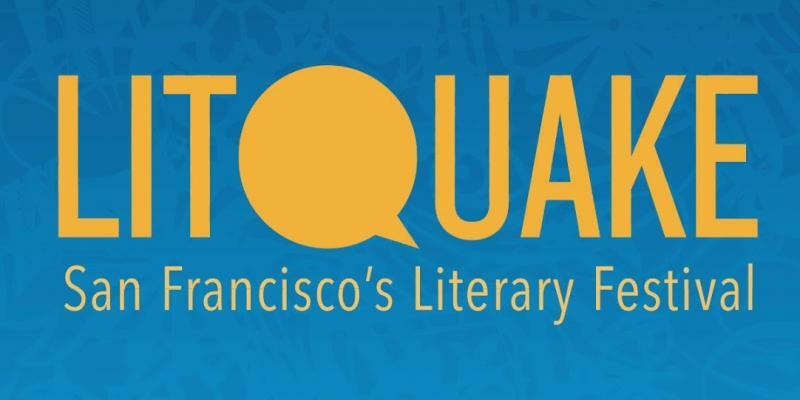 On Litquake, Legacy Businesses, Logos and Literacy: Are You Reading Me? SAN FRANCISCO, CA—Where the fall days are shorter, sometimes hotter, and always foggier, where we are spoiled for choice between the play-offs, election season, the Mission Playground debacle, and our annual book festival, Litquake, already in progress, and where we are one progressive free weekly shorter as of this afternoon. It is here, in this wonderland that just yesterday, the Columbus/Indigenous People’s holiday, that District 9 Supervisor David Campos chose the Beat literature/Italian American landmark, Caffe Trieste in North Beach as the time and place to roll out his proposed legislation that may contribute toward saving San Francisco from itself. Grasping at straws? Pulling at threads? It’s all in a day’s work around here, but I promise it will all come together before nightfall, or daybreak—at least that’s what I tell myself. Flanked by a handful of small business advisers, city officials and somewhat surprisingly, me (representing for the independent booksellers in past or imminent peril due to increasing rents and few protections), the Supervisor pledged on Monday, “City Hall has a responsibility” to protect what he’s calling our legacy and heritage businesses. In a report commissioned by Campos and released last Friday, the number of small businesses here that will be lost by the end of this year is 4,378. You read it correctly. 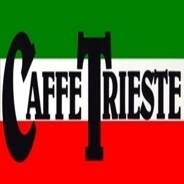 That’s “a significant increase from the 693 businesses lost in 1992, the first year of the study.” Closures and relocations in the period from 1992 to 2011 have also risen: from nearly 1300 to nearly 13,000. What happened in the intervening years is of course familiar to anyone vaguely familiar with the economic system in the USA, Inc.com. But it seems someone at City Hall is listening and it just might be Campos (and Supervisor Mark Farrell who co-created the plan based partly on programs in place in London, Barcelona and Buenos Aires where policies have been implemented to aid local heritage). San Francisco could be the first US City to add small local and culturally relevant businesses to its recently collated registry of historic bars and restaurants deemed worth preserving. By incentivizing commercial property rentals and when possible, advising and assisting through cooperative agencies the purchase of anchor businesses and properties, community character and services shall be retained and our neighborhoods will continue to provide jobs, remain more diverse, enjoy less crime, and stay vital, all according to plan. Sounds lovely, doesn’t it? And apparently it’s entirely possible, especially if you belong to the stable sector of small retail that hopes to benefit from the heritage program. For example, a store like Green Apple Books, awarded 2013 Bookstore of the Year by national book trade magazine Publisher’s Weekly, is an exemplar of the kind of indie business the City is looking to preserve. 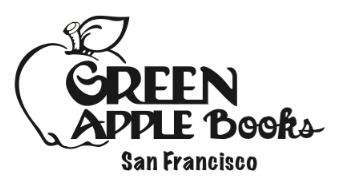 Who can’t appreciate and celebrate the successes of a bookstore like Green Apple? They earned their kudos and we all wish them well-deserved continued success. Though at the other end of the spectrum are the stores that are struggling through crushing economic downturns, bad loans, wily speculators, poor City planning and a trail of broken promises that leads straight to City Hall. These are the stores that serve our communities most at risk—sometimes at their own peril—and have done so for decades. Stores like Marcus Books San Francisco (evicted, 2014,and hoping to relocate after 53 years), and Modern Times Bookstore Collective (after 43 years it is next in line to close in 2015 unless something gives), and Bibilohead Bookstore (in a holding pattern after 10 years, displaced behind a retrofit and awaiting terms of a new space). 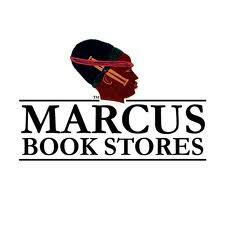 These are the stores that some of us rely on for our everyday interests, our community, our culture and lives of the mind. As an author, a part-time bookstore worker and activist, I have seen our stores time and again get left out and left behind or be judged by the community as “not having the right business model.” They’ve been accused of “mismanagement” or entering into “bad leases” (are there good ones?). None of these booksellers could have thrived for as long as they did and have the answers to their problems be quite so convenient. These stores and their personnel have been on the wrong end of wrongheaded assumptions and I fail to accept that kind of treatment of our small retailers and fellow San Franciscans (you know, the ones who’ve allowed you to use their bathroom, even though you couldn’t repay them by buying a book from them). Rather, it’s matters of racism, sexism, classism, simple greed, poor City planning and the public’s allergy to reality which are at the root of the problems faced by these stores and others like them (like queer-focused A Different Light which closed in 2011). I’m happy that Supervisor Campos has displayed the courage to acknowledge these facts—that the City does indeed have some kind of responsibility to its small businesses, in particular the ones which are most at risk precisely because they promote literacy, diversity and community, to the people who need those things the most: The immigrant, poor, working class, artist, intellectual and politicized people and people of color in town. These are the folks who gave San Francisco its progressive reputation in the first place and who have been disgraced and abandoned on Mayor Lee’s watch. The businesses that I and others in the progressive communities are interested in registering and preserving received loans with interest rates too high for anyone to make good on because they were discriminatory. The mortgage crisis put some of these small business owners and their stakeholders homes at risk as they attempted to keep the businesses afloat. Some of them have been harassed or received ambivalent protection from law enforcement. What do I mean by that, exactly? Well, the political and activist groups who convene at community spaces are targeted for spurious code violations and other so-called crimes. Marcus Books’ property was stolen and destroyed in broad daylight! Disbelieve me if you like, but these are some of the more systemic problems besieging our City; I want to believe Supervisor Campos is not blind and seeks to amend them. San Francisco is hemorrhaging bookstores and small businesses, and though you won’t hear a lot of talk about it at the lit festival, or at the new restaurant on Divisadero, nor will you read a thing about it in the paper, please take a moment of your time to remember the bookstore that held you up in lean times, that gave you your start, provided you with reading matter or a seat and place to read in rain. They have been on the critical and missing list for some time and will remain there until further notice, to be replaced by a vegan bacon donut shop or some other culinary monstrosity coming to a vacant $675.10 (actual figure) per square foot space near you soon. So yes, it is my wish that so inspired by Mr. Campos on his way to Sacramento, that we all insist his personal legacy be a registry of historic legacy businesses that includes as many of our small bookstores all over town (but especially the three on Calle 24), whether they be shiny and new or dusty and dark, so that we may all eat and grow strong and acknowledge our beauty and power collectively, despite the world being on fire just outside our doors. And oh: Go Giants.